What is PANDAS, the disorder some doctors say can cause extreme behavioral changes in kids? Alexia was a normal 4-year-old when she suddenly became defiant and explosive. Alexia Baier was an eager-to-learn, 4-year-old girl beginning pre-K in a suburb outside of Chicago. She thrived academically -- counting, painting and playing with other children. After 10 days of antibiotics, the infection disappeared but so did Alexia's bubbly personality. Within two days after completing antibiotics, Alexia began showing behavioral changes at home and eventually at school. She suddenly became defiant and explosive. "It was a lot of screaming, a lot of hitting and kicking adults," said school principal AJ McCree. "When we would try and keep her safe in an isolated area, she would continue to elevate and elevate." Alexia's mother, Vanessa Baier, couldn't believe the shocking change. "They had to call in the social worker, the psychologist, the principal. It was like a Tasmanian devil running through the classroom," she said. Holding back tears, Baier said she wondered: "What am I doing wrong?" It was a four-month-long emotional roller coaster dealing with the toll on the family's personal life and a lack of answers from the medical community until Alexia started threatening violence against others, including herself. She even attacked her mother. (Vanessa Baier) Alexia Baier is seen here during a doctor's visit. While Baier was driving, Alexia became violent toward her mother during a trip to get milkshakes. Baier said that Alexia began asking for a second milkshake. When Baier refused, she said, she heard Alexia unbuckle her seat belt. "I pulled over and I turned to her. As I picked my head up, she was stabbing me in the eye with my mascara wand," Baier said. Baier said that between the threat of self-harm and the increased violence she realized she needed to take extreme measures. At 4 years old, Alexia was admitted to residential treatment. After nine days of observation, Baier wasn't convinced that Alexia was getting the help she needed. She said that the doctors' diagnosis of bipolar disorder didn't seem right to her and that Alexia was sent home with prescriptions for stimulant and antipsychotic medications that didn't seem to be working. Baier said the medication made her daughter a zombie and she was still having explosive moments. "I was not in denial. The only thing that I kept questioning is, 'But why did this suddenly come on? Wouldn't I have seen signs? Or does bipolar just ... come out of nowhere like this? And what about that strep?'" she said. Eventually, a neuropsychologist connected the timing of the strep and immediate onset of behavioral symptoms. Baier said that's when the doctor asked: "'OK, have you ever heard of PANDAS?' [I was] definitely relieved to have some sort of diagnosis that made sense." Some physicians believe PANDAS is the sudden onset of tics, Obsessive Compulsive Disorder-like behavior or other behavioral changes as a result of a streptococcal infection like strep throat. After a child gets strep throat, the immune system produces proteins, like antibodies, to protect itself. However, some doctors think that in some cases, these antibodies may mistake its own immune system as foreign and actually attack the child's own body, including the brain, triggering inflammation as a result of the misguided immune response. They say this "autoimmune" attack causes neuropsychiatric changes in the child, presenting as behavioral changes, like OCD and tic disorders. 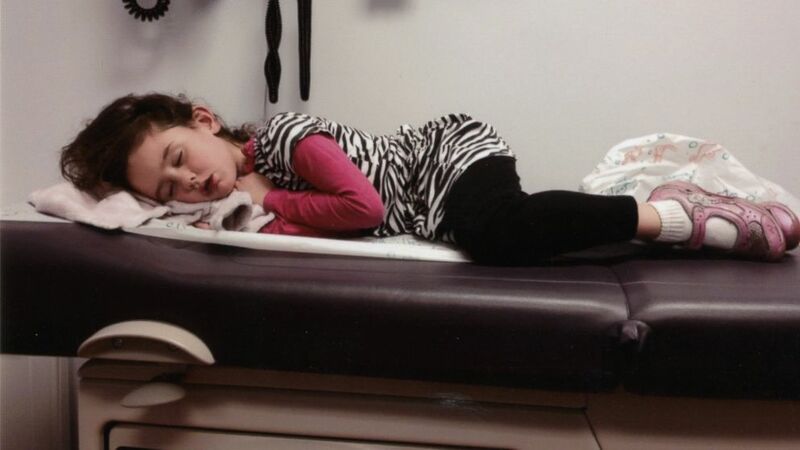 There is a wide range and severity of symptoms, with Alexia’s case on the more extreme end. There is also the emergence of a broader umbrella term called Pediatric Acute-onset Neuropsychiatric Syndrome (PANS), which includes not only PANDAS but also symptoms thought to be caused by non-strep infections or other inflammatory disturbances to the system. These non-strep infections include bacteria and viruses like Lyme disease, mycoplasma pneumonia or walking pneumonia, herpes simplex viruses and the common cold, according to the National Institutes of Health. The thought is that this whole set of conditions boils down to one presumed cause: an overly active immune response that is sudden in onset but looks like OCD or behavioral problems. It's no longer thought to be just about the strep. Experts caution, however, that many children will get strep and other infections with no resulting behavioral changes, while others experience behavioral changes without a prior infection. Some doctors say the presentation of PANDAS is broad and can vary. The diagnosis requires two of the following symptoms, according to the National Institute of Mental Health: anxiety, emotional instability/depression, oppositional behavior like aggression, losing development in behavior, worsening of school performance, disabilities in sensory or motor capabilities as well as signs and symptoms like sleep or urinary problems or eating restrictions. A collaborative effort among different PANDAS researchers has resulted in this set of criteria. 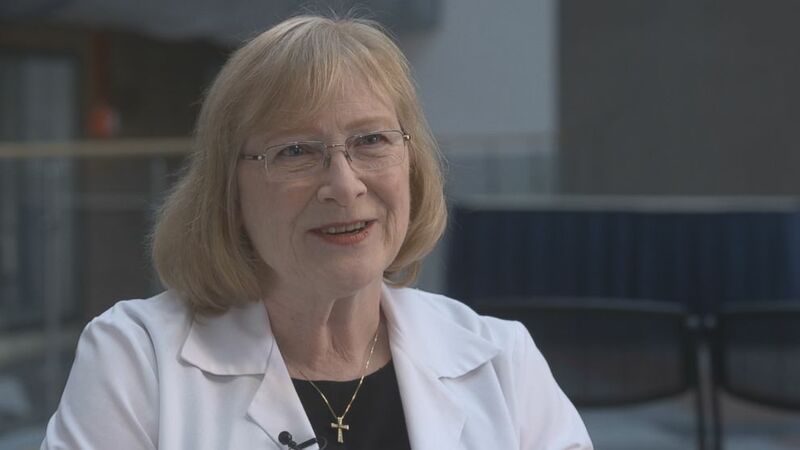 Dr. Susan Swedo, senior investigator in pediatrics behavior and Chief of the Pediatrics and Developmental Neuroscience Branch with the National Institute of Health, has been studying PANDAS for decades and was the first, with her team, to identify PANDAS. Although she said the disorder is uncommon, she estimates it affects one in 200 or one in 500 children. She also said that far too many of her fellow doctors don't think PANDAS is real. "They dismiss it. We don't have an argument with people that think this exists and it might be rare. The argument is with people who are literally PANDAS deniers," she said. There is controversy over whether the streptococcal infection of PANDAS is really what causes persistent behavioral changes. Some doctors believe the sequential onset of strep throat and these changes could be coincidental. Gilbert said that even if PANDAS is a legitimate diagnosis, it is most likely extremely rare and overdiagnosed. He is not alone in those beliefs. (ABC News) Dr. Susan Swedo of the National Institute of Mental Health first identified "PANDAS" as a behavior disorder in children 20 years ago. Swedo acknowledged that some doctors may be over-treating but said on a whole the disorder is underdiagnosed countrywide. She said that's in part because of the number of fellow physicians who do not believe in the diagnosis of PANDAS. This makes it hard, she said, for families to find physicians willing to treat the condition. However, some national medical organizations remain unconvinced that PANDAS is real, citing the lack of unduplicated or quality studies. The American Academy of Pediatrics "Red Book," a guide used by many pediatricians for infectious diseases like streptococcus, contains its stance on PANDAS. According to the AAP Red Book, the evidence for PANDAS has relied on only a small number of patients and the authors have concluded that there is not a specific enough relationship between group A strep and the neuropsychiatric disorders to suggest treatment with antibiotics or any other therapy. The American Academy of Pediatrics suggests management not by pediatricians, but by specialists like child psychiatrists, behavioral and developmental pediatricians or child neurologists. The AAP states that management of any specific symptoms of OCD and tic disorders should be left to the specialists. Although some researchers and clinicians believe that treatments including antibiotics and certain immunotherapy may help “children with symptoms suggestive of PANDAS or PANS”, the AAP says there aren't enough studies to prove this yet. Today, Alexia is 8 and, her parents say, doing a lot better. After receiving the diagnosis of PANDAS from a neurologist three years ago, she was placed on different antibiotics for the streptococcus bacteria, took steroids and had her tonsils and adenoids removed. She does have occasional flare-ups but they are quickly treated with antibiotics, according to the family. Alexia improved behaviorally and was even awarded "Student of the Month" out of her entire school. With the return to a sense of normalcy, the family decided to turn their scary experience into an opportunity for advocacy. For Alexia and her family, their experience with PANDAS was enough for them to join the fight with other families to pressure Illinois to become the first and only state so far requiring insurance companies to financially support PANDAS treatment. The law was passed and signed into law in Illinois in July 2017. Constant research continues and supporters of PANDAS hope that the policy, financial support and health-care stance on this issue will shift and improve along with understanding. They say this will require the collaborative work of both critics and supporters of PANDAS. To learn more about PANDAS, click here for more information. ABC News' Neha Chaudhary contributed to this story.